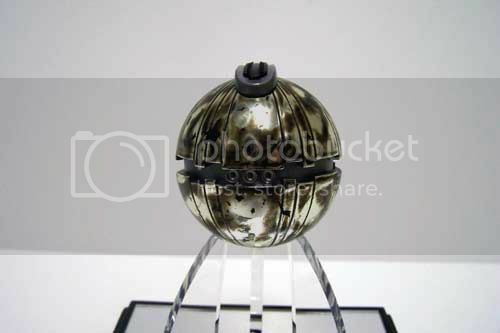 I'd like a thermal detonator. Great prop from a great scene. I might get a resin one and paint it up. Is the MR one metal? What sort of money do they go for? MR training remote is resin but I think the detonator is metal, and you're right it's a great looking piece. Last year I was watching lots and holding out for a last minute bargain on ebay - was hoping to pick one up under £150 but they (like everything else) have been going for a fair bit more lately. 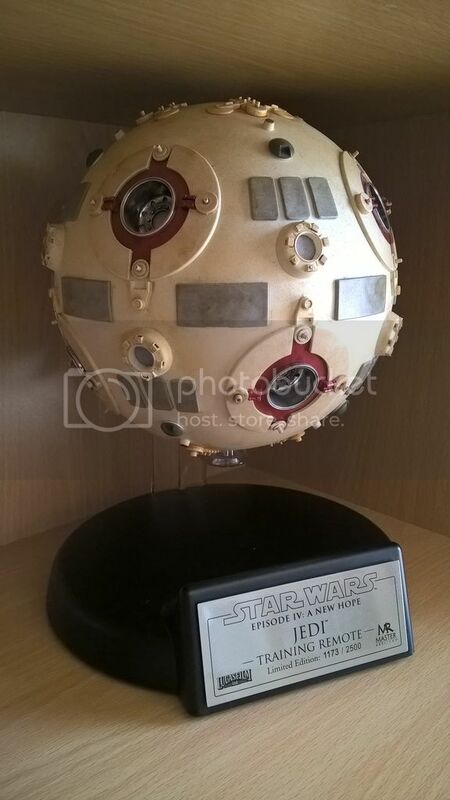 Had a change of heart regarding the thermal detonator - seen a few close up pictures/vids and I'm not sure i still want on but 100% still after a Jedi training remote, if anyone has one they would consider selling please let me know. 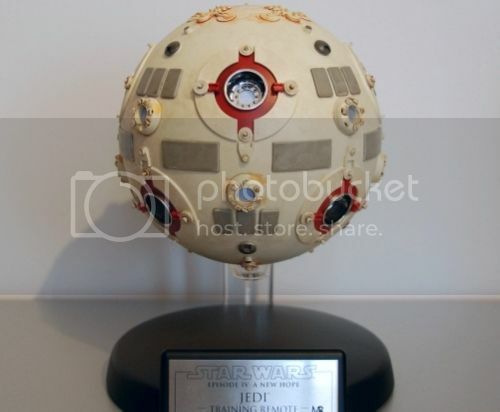 Well it took over a year and half but very pleased to say that thanks to a very generous friend (he was also looking for this item but helped me find and secure it first) I now have a Master Replicas Jedi Training Remote in my collection.